Pupils at a County Durham school had a very special visitor last week. 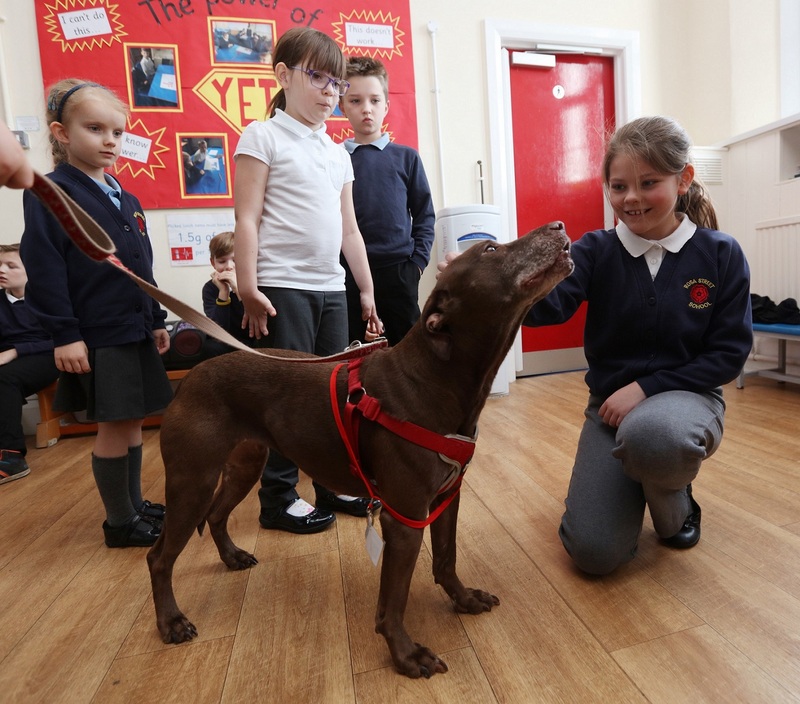 The pupils at Rosa Street Primary School, Spennymoor, got to meet Toffee, a community teaching dog. Toffee works for the charity Stray Aid, which rescues and rehomes stray dogs and cats. 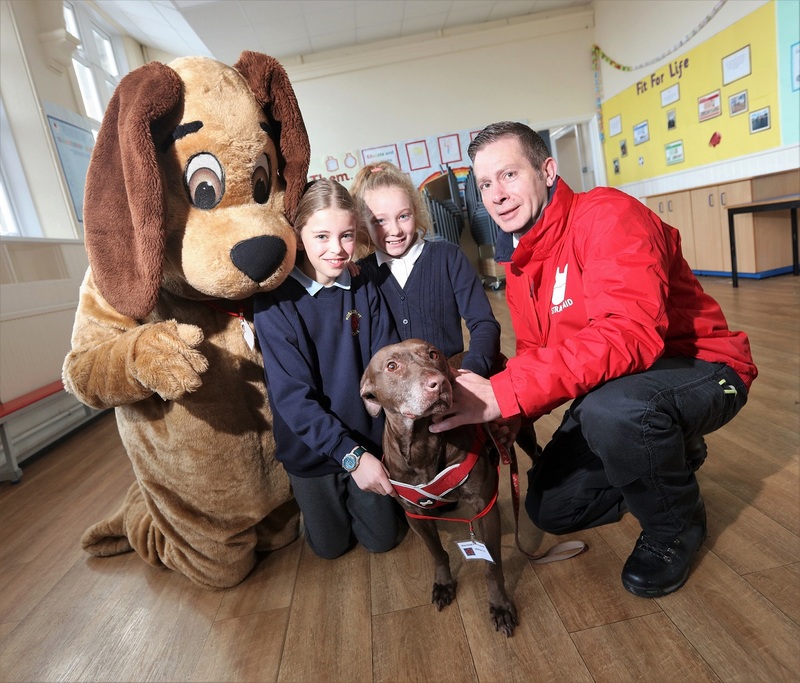 Stray Aid is also working with Durham County Council’s Civic Pride Team to deliver Paws in the Playground, an interactive lesson which teaches kids basic dog-ownership skills and how to deal with strays. During their Paws in the Playground session, the children learnt vital techniques for looking after dogs, including how to play with, feed and microchip the animals. The children were invited to try out their new knowledge with Toffee as well as practising what they should do if a dog were to get into the playground. The Paws in the Playground session built on previous lessons delivered in the school by the Civic Pride Team on topics such as litter and green issues. To learn more about Stray Aid, please go to https://www.strayaid.org.uk/.